The best running socks are those that fit closely, wick away moisture and protect the foot from developing hot spots or any other irritation from rubbing against the shoe. To accomplish this, most running-specific socks use sturdy nylon or polyester yarns to fit tightly around the foot. Often a small percentage of elastic gives the sock a secure, snug fit, and keeps the sock in place. For cushioning, extra fabric in the heel or toes can reduce impact and provide a softer, more comfortable feel as the foot moves inside a shoe. 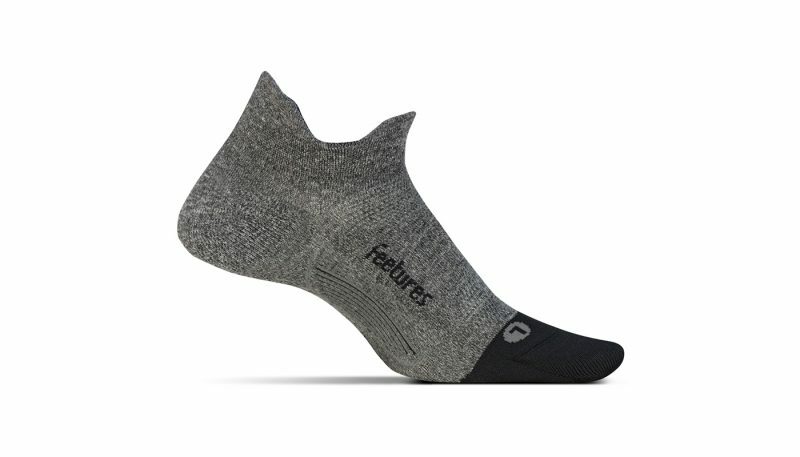 The Feetures Elite Max Cushion sock was praised by our testers for its fit and breathability, even from testers who prefer running in more minimal socks. 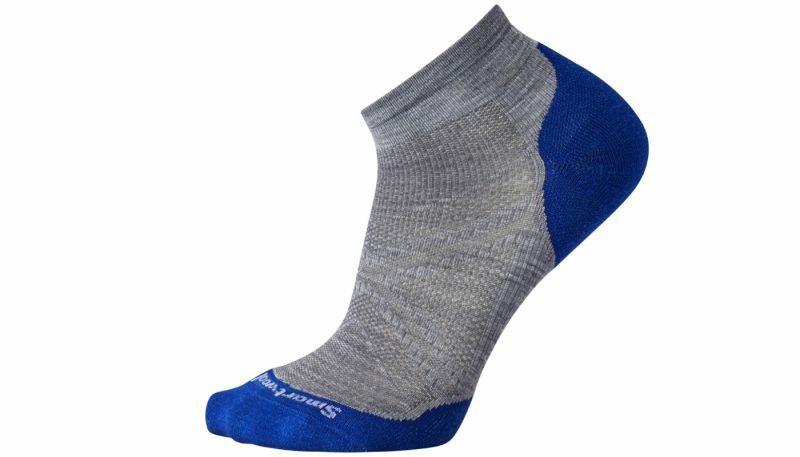 The Balega Silver running socks provide plenty of cushion underfoot and use a honeycombed mesh to aid with wicking. The Silver designates the threads treated to warding off odor-causing microbes. 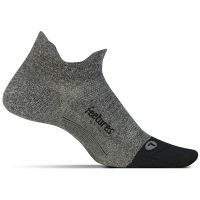 The Feetures Elite Ultra Light run sock was a minimalist favorite, that puts just enough protection in high-wear spots without feeling bulky in the shoe. After all the mileage and the tester feedback, the running sock ratings scored extremely close. Even before we averaged out the ratings, the final differences sometimes came down to decimal places. 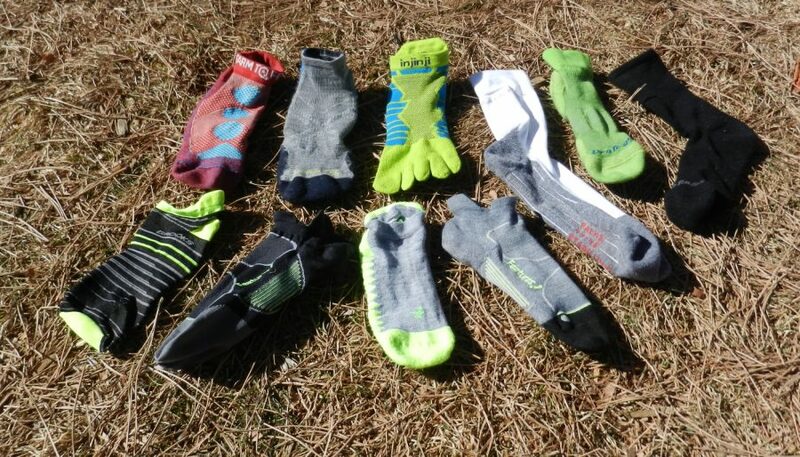 While the Smartwool sock scored highly among nearly all the testers, socks with a wider range of opinions still evened out their overall scores to come close. Readers should still parse through the summaries to decide whether a sock may work for their needs despite the overall score. The Smartwool PhD Run Light Elite won Best in Class with three top picks, a runner-up vote and scoring ahead of the average by all but one tester. Both Feetures socks were a common runner-up choice, with the Max Cushion and the Ultra Light version tying despite our tester’s consensus preference for thinner socks. The Brooks Launch Lightweight Tab and the Farm to Feet Raleigh were both favorites and least favorites. The biggest disparity in ratings came down to the fit and comfort scores. Of the two Darn Tough socks tested, the more cushioned, mostly wool Vertex 1/4 Sock Ultra-Light Cushion edged out its thinner, synthetic version, the Coolmax Vertex 1/4 Sock Ultra-Light, despite most testers stating a preference for non-wool socks. Balega was the most consistently rated sock, scoring one favorite, one least favorite, but mostly getting ratings of 8 and 9. 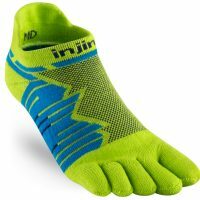 The most divisive reviews came from the Injinji Ultra run because it is a toe sock. 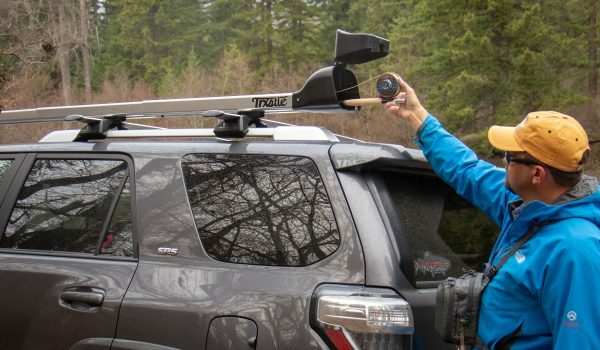 Some testers found it too uncomfortable to run in, yet one tester rated it a 94. Toe socks are not for everyone, but they have a loyal following. Our testing runs revealed as much about the variety of socks as it did the preferences of our testers. We called in 10 pairs of socks from established brands as well as newer entries to the market. We tested a mix of socks that will either debut in spring 2018, or are 2017 sock styles that will carry over into 2018 with new colors or patterns. Samples of variant styles were sent to our testers, who as mainly road shoe testers, tended to prefer low-cut, thinner socks. Some ran in taller, more cushioned socks, though testers judged each pair based on the design’s intended use. Most of the performance features are in the foot of the sock, but low-cut socks can have issues with fitting different feet and shoe heights, which our testers experienced during shoe testing. 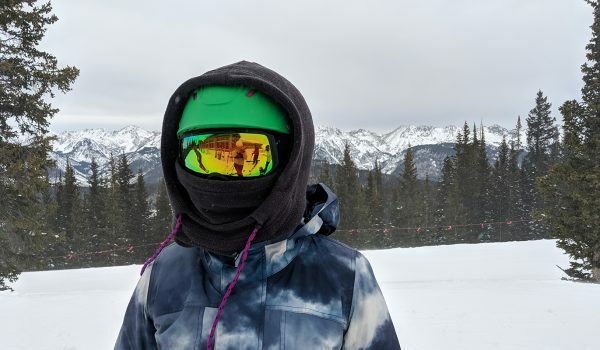 Our testers ran in these throughout the fall in different climates, including Colorado, California and British Columbia. Most of the testing coincided with our road shoe testing, though several runners took these on trail and training runs, too. For Fit, testers considered how they felt on the foot and paired with the shoe. Comfort also considered this, from the first impression on the foot to how it wore during longer runs. For some that meant longer runs in cushioned socks meant soggy feet, while other praised the padding and experienced discomfort from the tougher nylon threads of more technical, tight-fitting socks.The biggest areas of concern for the fit of socks are in the toe and around the ankle. Like shoes, some socks are wider than others, and the slope or angle of the toe area (from the biggest to smallest) can vary widely. Most socks use some amount of elastic or spandex to keep the cuff of the sock from falling down. Running socks include other targeted areas, like the instep and arch of the foot. More recently, socks have placed sections of tighter, mesh-like zones at the top of the foot which works as ventilation, but also to hold the sock in place. Another consideration for our testers was how the socks felt with various running shoes. Or better said, how little they felt the socks inside those shoes. Runners who like to feel the shoe, usually a lightweight racing shoe, prefer the fit of a minimalist sock. The Feetures socks were lauded for fitting ‘just right’ as did the (slightly) looser-fitting Smartwool Elite. The first impression of comfort comes from the feel of the sock’s fibers. Cotton and wool tend to be softer against the skin than synthetics, though there are ways to loop synthetic fibers for a softer feel, too. For some runners, comfort comes not from extra padding or cushioning, but how little of the sock interferes with the feel of the shoe. 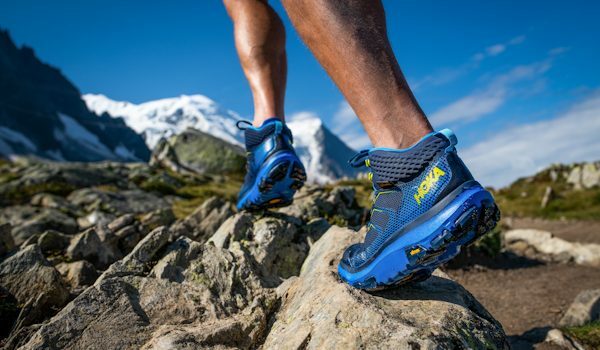 Trail runners are likely to feel the tops of their toes against a shoe and want cushioning there. 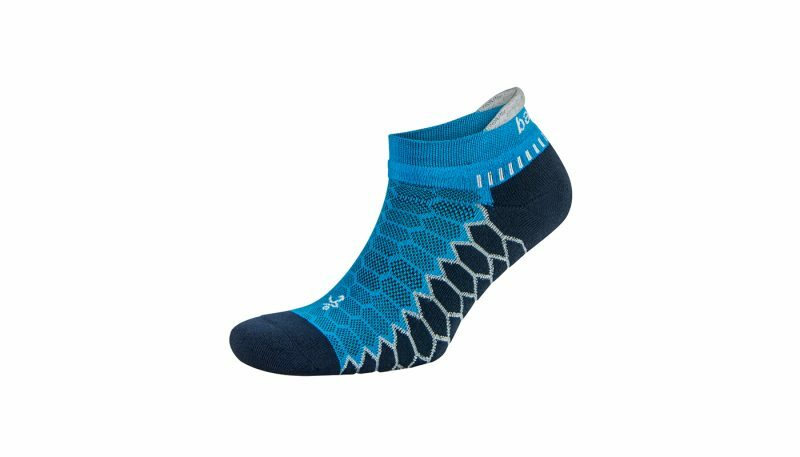 Balega had the most cushioned sock, but the slighter padding (and fit) of the Smartwool sock won the highest ratings from our run testers. 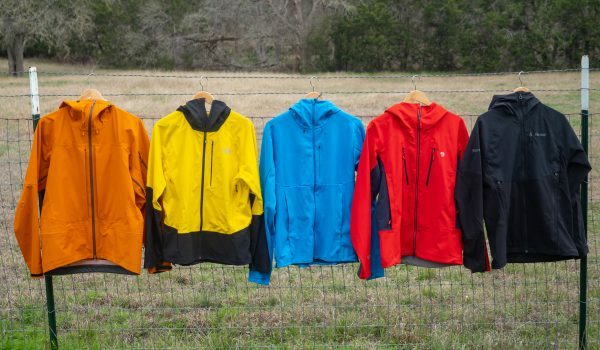 Wicking is based on how well the fibers move sweat from the foot, but the ability to shed water is important in wet conditions. Most running socks use more synthetic fibers in the midfoot where there is less contact with the shoe and an area prone to sweat. Wool-mixed socks often use more synthetic fibers in this area, though the wool will aid in wicking moisture away from the body. A sock’s wicking performance can be compromised or aided by the breathability of the shoe. 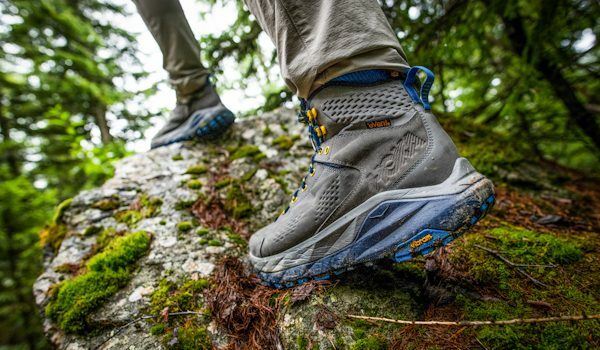 Waterproof shoes, for instance, won’t be able to dump vapor as quickly as a synthetic sock. Wicking deserves its own performance rating, but it certainly overlaps with Comfort when socks don’t wick well. 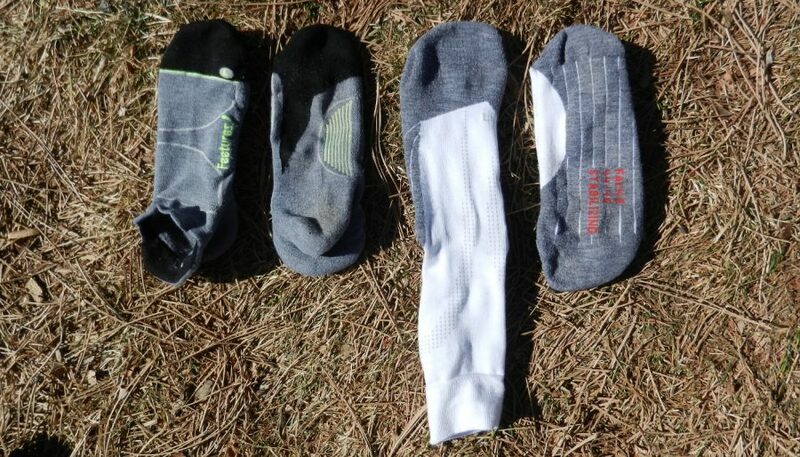 For the most part, thinner, ultralight socks win here, though the Feetures showed that the padding in heel and toes did not bog down the breathability of a cushioned sock. 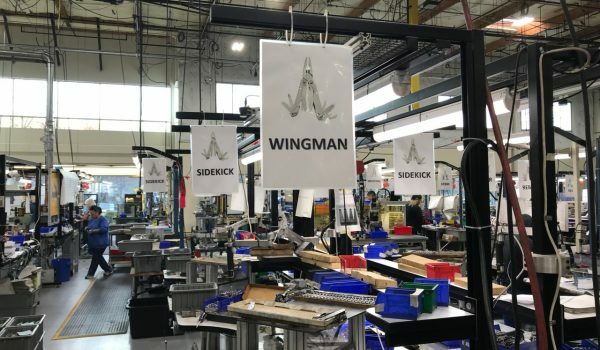 Our individual testers found socks to vary slightly during testing, but when all the ratings were averaged together, all but one sock scored the same. Our testers rated socks on durability according to how they held up during the testing mileage and gauged early signs of wear to predict the piece’s lifespan. Barring unusual wear patterns, socks shouldn’t blow out during the testing period, or even in the first year of use. Wool wears out faster than nylon, but the mixture of materials in all the socks tested was not so cut and dry. Holes didn’t come from yarns wearing out, but the threads constructing the sock giving way. Socks may pill after the first wear and wash, but that is not necessarily a durability concern. Some fibers are more prone to pilling, but should not continue to pill. Typically nylon and treated polyesters will outlast softer, natural fibers like cotton and wool. Following the care instructions from each brand will also extend the life of a sock. 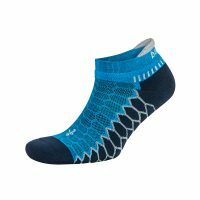 The Balega was the only sock to score a 9 for Durability, thanks to the tougher yarns and extra padding. Running in two similar socks at the same time can help distinguish the differences. 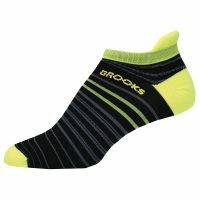 The best running sock is one that fits closely, wicks away moisture, and protects the foot from developing hot spots or any other irritation from rubbing against the shoe. To accomplish this, most running-specific socks use sturdy nylon or polyester yarns to fit tightly around the foot. Often a small percentage of elastic gives the sock a secure, snug fit, and keeps the sock in place. For cushioning, extra fabric in the heel or toes can reduce impact and provide a softer, more comfortable feel as the foot moves inside a shoe. Some brands use a layer of wool against this skin for its softness and wicking characteristics. In general, road runners and racers prefer a tighter-fitting sock (and shoe). 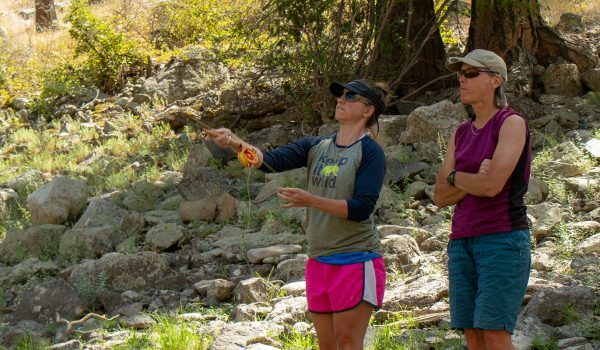 Trail runners typically encounter more debris and choose taller socks as well as those with more cushion in the heel and toe because of the different impact from running up and down steeper terrain. The longer you run, the more likely these issues are to pop up. A cotton sock will work fine for a 5K, but consistently running longer distances will likely result in discomfort if not more serious issues like blisters which are not only painful but will derail training for days. 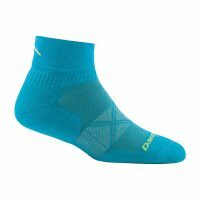 Prices for running socks range from $10 for a minimal synthetic sock to $18 for a taller wool sock. These aren’t so expensive but can surprise buyers accustomed to buying a 3-pack of daily wear socks at the same price. Several brands now offer replacement guarantees for socks that wear out prematurely. Full-grade compression socks often start around $20 and climb in price the more compression and the taller they are. There are several types of running-specific socks on the market, but they all look similar to those from a decade ago in appearance. Modern sock making uses quite a bit of technology, yet current knitting machines aren’t unrecognizable from those of a century ago. The main upgrade has come in the number of needles in the machines and the computerized controls that can program a mix of yarn materials and colors to crank out a sock from a simple concept within a day. Beyond the knitting process, however, there are still many human hands involved. The traditional wool sock is knitted by a circle of needles, which emerges as an oversized tube in a couple minutes. The seeming oversized sock form is shuttled by suction tube to someone who will close the toe with a special seam machine and then send the sock on its way to be washed and dried to pre-shrink it. From there several finishing handlers may trim excess threads on the inside of the sock and shape the sock over a form before inspecting for quality control and bundling for sale. Asymmetrically shaped socks take a bit more processing to pair them, but the knitting process is mostly the same. Some synthetic running socks look too small because the elastic or spandex yarns are intended to stretch around and tightly fit the foot. More traditional socks with mostly cotton and wool yarns don’t rebound their shape if stretched too far. This is the traditional shape of tube socks and still the most common. The socks are interchangeable, and wearing them on different feet reduces the chance of wearing out the same areas of the sock. 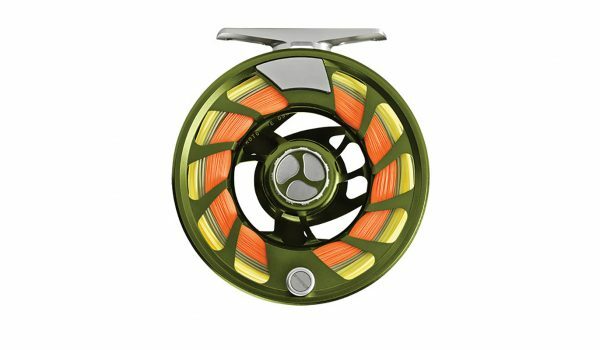 Slack fabric can collect under the ankle, which does not typically interfere with comfort or performance. 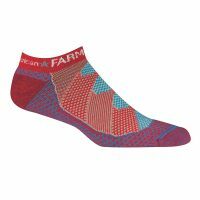 Symmetric socks by Smartwool, Darn Tough and Farm to Feet are made by wool hosieries. Also called anatomical-shapes socks, these are designed to fit the left and right foot and provide a more dialed fit with features like tapered toe seams, targeted compression in the arch and/or padding in the outer edge of the foot to cushion the most common landing area of the foot. Some of our runners, being creatures of habit, noted it took some adjustment to pay attention to which sock they were putting on. And yet this seems to contradict their preference for a minimalist sock to be more in tune with their road shoes (which are also asymmetric). Feetures and Falke use asymmetric designs for an anatomical fit, and more targeted cushioning and compression. These socks constrict the foot and calf for slight stability which can slightly reduce the lateral impact of running over long distances. It is common for these socks to use graduated compression, which slackens as it rises up the calf. Some of the medical claims during activity are still being tested, but the pressure does increase blood flow, which quickens recovery. They’re also good for air travel. Take note that sizes of compression socks measure the circumference of the calf, not just the foot. These socks surround each toe on the foot, which results in two layers of fabric between the toes and causes a wider, more natural, foot splay. These socks require a break-in period, with each sock toe conforming to the runner’s toe, and are designed with a much larger big toe. 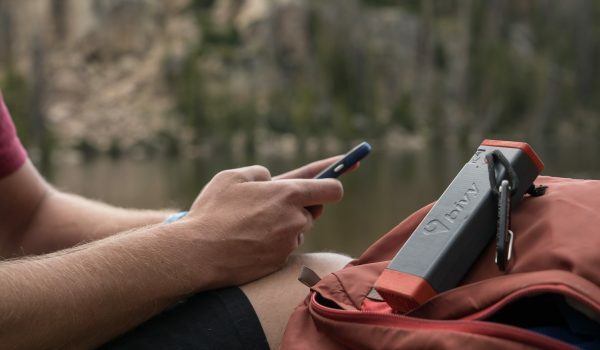 Injinji now dominates this market niche. 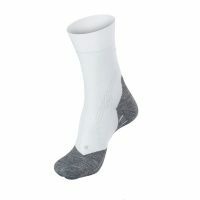 Most running socks now include targeted areas of tighter-fitting polyester or nylon yarns in the midfoot (in the arch and top of foot) to keep the sock from riding up or slipping down, and to release heat. This targeted compression makes for a snug fit without the intense fit of performance grade compression socks. Other targeted areas may include the back of the heel, which offers some stability as well as fighting slippage or a small mesh spot where the shin meets the top of the foot, which keeps the foot of the sock from riding up. Once upon a time, toe seams would rub the tops or bottoms of toes, and cause great irritation if not rashes. Modern knitting machines have mitigated the seam of the toe from rubbing against the top or bottom of toes, and in good running socks, the seam is hard to notice. The shape and width of the toe box is a major factor in fit, with some toe boxes constricting the smaller toes of the foot more than others. Symmetric tube socks tend to have a closure that is straight across the toe, while asymmetric socks will use different angles across the toes. 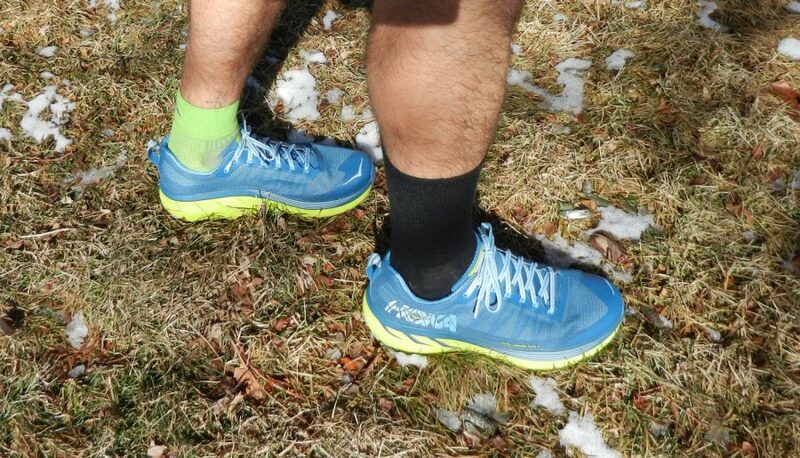 More cushioned socks provide a softer landing, longer wear time and can fill up higher-volume shoes. These are most often wool blend socks, which is one reason they are also warmer than thinner socks. Trail runners are more prone to steep, uneven descents and find the padding can reduce hot spots. 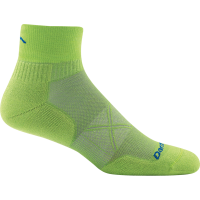 Thinner socks are lighter, feel cooler on the foot and provide a tighter fit that works best with a performance shoe. One sock design strategy is to use different thicknesses in the midfoot so the higher areas make contact with the shoe, and the lower areas can create channels that drop heat. 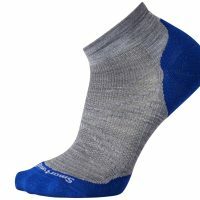 In short, socks above the ankle help keep debris from rubbing against softer skin or falling into the shoe and are a common choice for trail runners. Minimalists prefer the lighter, nothing-there fit of no-show socks, often in the lightest weight. This can be an aesthetic choice that becomes a preference out of habit rather than any particular reasoning. This is common with minimalist sock designs and can include a cushioned tab in the back to protect Achilles. These cover just the areas of the foot that fits against the shoe’s interior. Runners can expect a ring of grit above the hems of the socks from road debris or leaf litter. Quarter cut covers the ankle entirely and prevents rubbing the Achilles on the heel of a shoe. 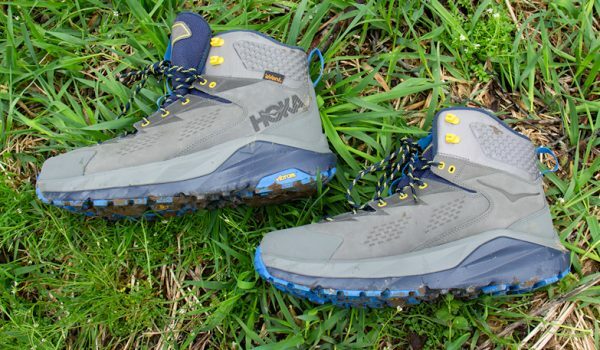 These are usually the lowest cut option for trail runners, who prioritize keeping mud or debris out of their shoes. Crew cut heights extend five to seven inches up the leg. Come fall, these taller socks provide more warmth and prevent a gap of exposed skin below running tights. The tallest socks will rise to mid-calf or above, just below the knee crease, for full coverage and in most cases have some amount of compression. Run socks are made from various blends of polyester, nylon, and wool, and often include small percentages of Spandex or other elastic yarn. Polyester is strong, durable and dries fast, and branded variants like CoolMax are known for drying quickly and changed the performance of running socks (even cotton blends). Nylon adds strength but can break down over time, especially from the heat of dryers. Nylon can also reduce hot spots. Wool is soft against the skin, wicks sweat from the foot, but wears down underfoot faster than polyester. Mohair, often mixed with wool, lays against the skin extra flat, which feels softer and reduces blisters. Elasticity is included for slight compression and to maintain the fit and shape of the sock. 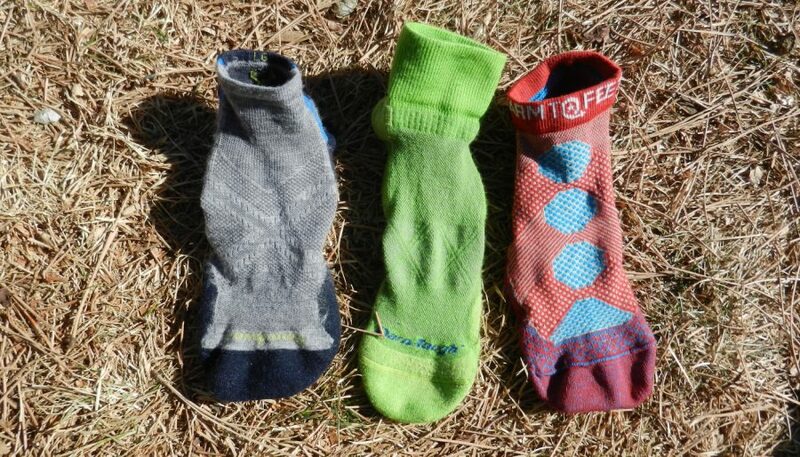 All of the wool running socks we tested use a blend of wool and polyester. These socks are woven so the wool is next to the skin, where it feels softer and wicks away moisture, and the polyester core reinforces the sock and helps it retain its shape. In damp conditions, wool will hold some moisture but keep it away from the skin while trapping in some of the foot’s heat. Runners who frequently get hot spots or blisters may want to prioritize socks with fibers like Coolmax and Drimax. For blisters between the toes, toe socks may just be for you. For blisters on the outer edge of the foot, it is important to consider padding, the fit of the sock and the shoe. Odor control is another factor in sock materials and one where wool has traditionally held an advantage. Polyester retains odor-causing bacteria, whereas wool naturally repels it. Wool-heavy blends can be aired out between uses. Newer odor-fighting strategies used in more synthetic socks include silver-treated threads or other chemical treatments that repel odor-causing bacteria. Socks will continue to support and protect the sock as will the debate between thinner or thicker. 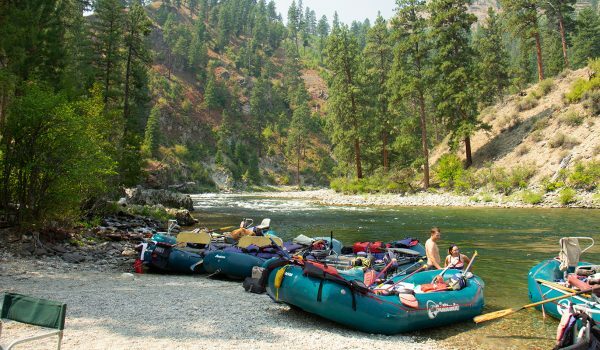 The best advice is to gather a quiver based on your intended use, with a thicker pair for colder runs, a race sock for speed days and more plush socks for training or trail running. Also keep in mind that running socks, like running shoes, are intended for running, not everything else you are doing that day. 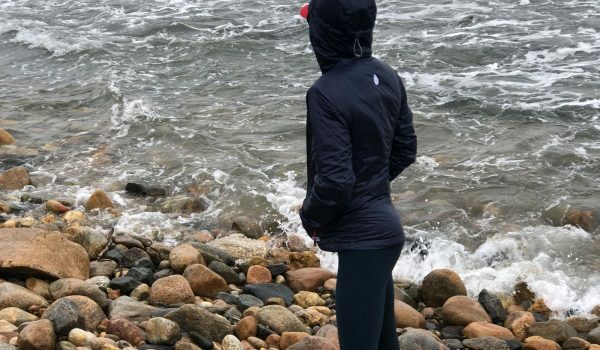 Looking into the crystal ball, future running socks will likely use more complicated mixtures of different yarn materials and extra-specific targeting. Perhaps slight padding on one side of an anatomical sock could address slight pronation issues. Already on the horizon are wearable clothes that record data, perhaps that will drift into the simpler world of running socks.